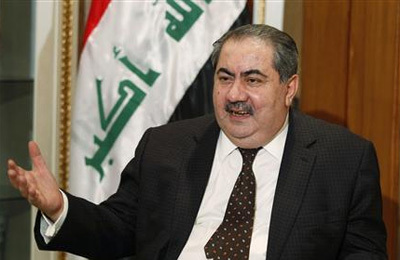 Iraq's parliament removed Finance Minister Hoshiyar Zebari from office on Wednesday over corruption allegations, a move that risks further destabilising the major Opec producer's fragile economy as it struggles with a massive budget deficit. Parliament voted 158-77 to withdraw confidence from Zebari, two lawmakers said, after questioning him last month about alleged corruption and misusing public funds, which he denies. Zebari, a Kurd who previously served for years as Iraq's foreign minister, has recently led high-level negotiations with the International Monetary Fund (IMF) for a loan deal and with international lenders for a Eurobond. Iraq's economy, which relies almost exclusively on oil revenues, has been battered by a drop in global crude prices and the costs associated with the war against Islamic State, which seized a third of the country in 2014. Sarhan Ahmed, a member of parliament's finance committee, said the decision would "shake confidence" between the IMF and the Baghdad government. "Today's move will undermine the ongoing efforts by Iraq to convince the IMF and other lenders it has a stable economic and political atmosphere," said Ahmed.